The ProtoFlow S is a high tech, user friendly, reflow oven with many pre-programmed process profiles which can be easily selected via the LCD display and keypad. This equipment is ideal for prototyping, technology research and pre-production runs. The intuitive software package enables process parameters to be conveniently changed, managed and archived on a PC. 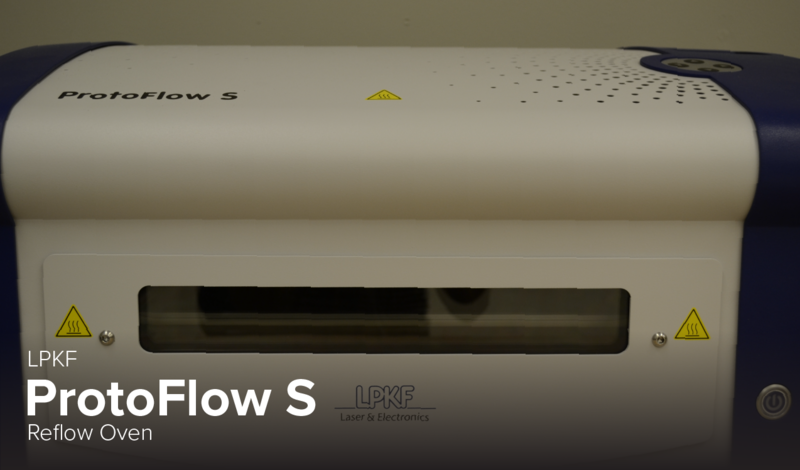 Several user-programmable zones between preheating and final reflow enable the LPKF ProtoFlow S to process all reflow profiles up to 320 deg. C.